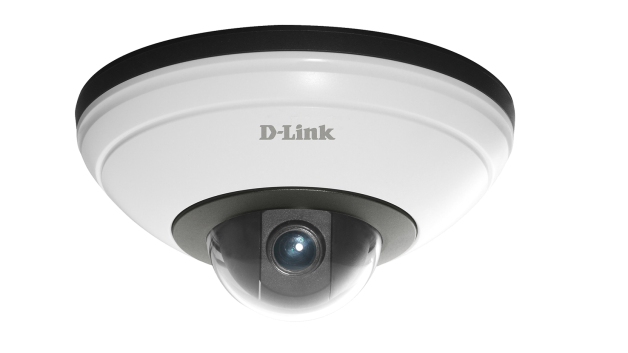 To meet strong demand in the global video surveillance market and expected double-digit percentage growth in 2014*, D-Link is expanding its video surveillance portfolio with the launch of its smallest pan and tilt dome camera to date, the DCS-5615. The addition of the Full HD Pan & Tilt Dome Network Camera reinforces D-Links commitment to the rapidly growing market by giving businesses the choice from a comprehensive range of video surveillance options for almost every security need. The two-megapixel image sensor also allows users to record footage in high-quality resolution, up to Full HD 1080p, for assurance that clear, detailed images will be captured. In the case of criminal activity, this assists the police in identifying and analysing potential video evidence. In the event of unexpected motion on business premises, video recording will start. The on-board microSD card slot allows the camera to continue to record and store the footage, even if the network is disrupted. Tamper detection is another convenient feature triggered by defocusing or redirection of the camera. The optional email notification system comes into action when motion detection or tampering occurs, meaning users can react in a timely manner, to put them in control. The latest 'Trends for 2014 - Video Surveillance Trends for the Year Ahead' white paper from IHS Technology suggests that recent developments in Power over Ethernet (PoE) products will make video surveillance a much more viable option for security managers in 2014. Supported on D-Links pan and tilt dome camera, PoE eliminates the need for a separate power supply, so it can be deployed in areas lacking readily available power outlets or hard to reach zones. Coupled with its ultra-compact size  the length of an average sized computer mouse  this makes the camera easier to install, as well as an obvious choice for businesses requiring a discrete monitoring solution. According to the IHS report, there is a huge demand for video surveillance using a single camera to monitor a large area. With its 360-degrees pan function, this couldnt be easier than with the pan and tilt dome camera. In addition, its 16x digital zoom allows businesses to focus in on a target area or object and see it in much more detail is possible with normal viewing.